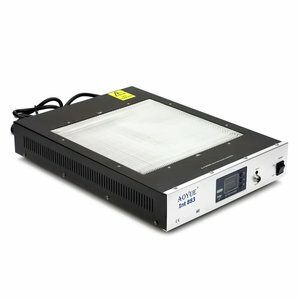 Infrared or hot air preheater are one of most important components of any rework station. 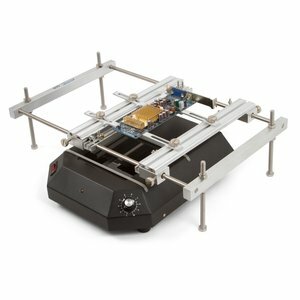 These devices are used for preheating the certain area of the PCBs, which is helpful in many cases of repairs (reworking of the discrete components, QFP/BGA/CSP chips, and others), increases productivity and quality of the work. 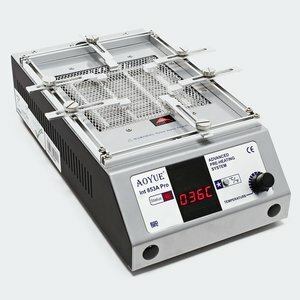 This infrared preheater is designed for lead free hot air and infrared soldering ensuring precise and safe soldering process. 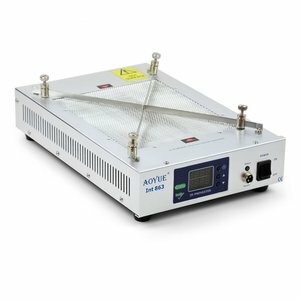 Powerfull (500 W) quartz infrared preheating station, suitable for the boards up to 120 × 120 mm in size. Built-in external temperature sensor connection port. 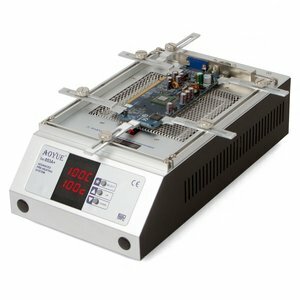 Powerfull (500 W) quartz infrared preheating station, suitable for the boards up to 120 × 120 mm in size. 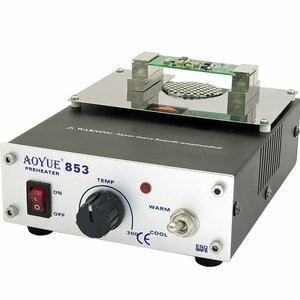 Preheater AOYUE 853 - compact preheating device preventing panel board distortion. Temperature Range 100-38 0 °C. The 853A is designed with a large infrared quartz heating surface to suit a wide range circuit board sizes. 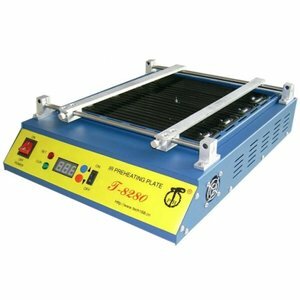 preheating of large PCB's such as motherboard of PC's, laptop and others. Temperature Range 100-380°C. The 853A is designed with a large infrared quartz heating surface to suit a wide range circuit board sizes. 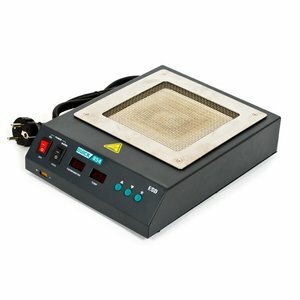 Quick 854ESD Infrared Preheating Station is designed for solder fusion and preliminary heating of circuit plates, from video cards to motherboards. 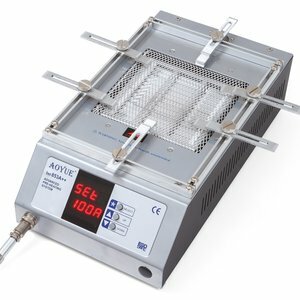 Infrared preheating station suitable for heating BGA and SMD components, both lead and lead-free. 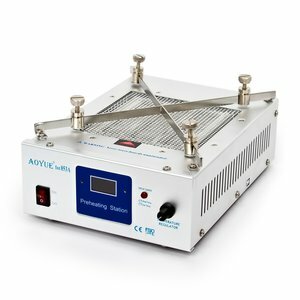 AOYUE Int 863 Infrared Preheater is designed for lead free hot air and infrared soldering, ensuring precise and safe soldering process.